If Tommy Steele was the answer, we’d got the question wrong. America had Elvis. And Thomas William Hicks, a nineteen-year-old merchant seaman from Bermondsey, had a toothy grin as wide and bland as Tony Blair, he could pose a shiny Gibson guitar around his neck in the splay-leg stance the teenagers ‘dug’ on ‘hep’ TV shows like ‘Off The Record’, and he put words like ‘Rock’ into his song titles. Obvious really. “Doomsday Rock”, “Elevator Rock”, “Rebel Rock”, they’re all here. Rockney. It was a put-up job. No competition, literally. In 1956 there was no Rock ‘n’ Roll outside America. 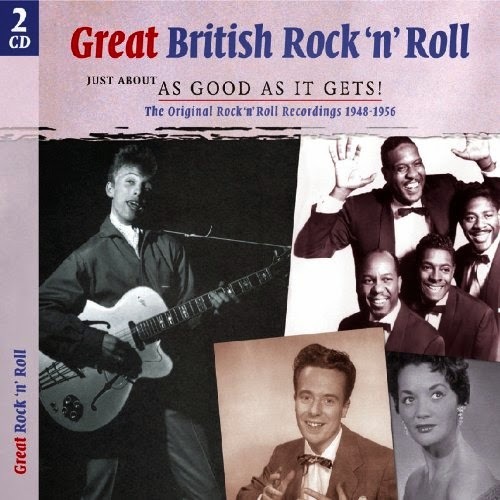 Listening to the sixty-two tracks on ‘Great British Rock ‘n’ Roll 1948-1956’ (2CD, As Good As It Gets, 2007) it becomes obvious that they just don’t get it. The Deep River Boys were an American Coasters-style vocal four-piece, resident in Britain, but their take on Bill Haley’s “Rock A Beatin’ Boogie” is domesticated into radio-acceptable neutrality. Ray Ellington does a cartoon-sharp version of “Stranded In The Jungle”, but embeds it in big band swing arrangements, suitable for touring variety shows and end-of-the-pier theatres. Tony Crombie & His Rockets were slick jazz turn-coats quick to jump the new fad with “We’re Gonna Teach You To Rock”, but their ‘get in the groove’ is seldom convincing. These were Brit-pop’s baby-steps, taken by people who sensed something was going on but weren’t quite sure what it was. Tommy had picked up clues while working a Cunard cruiser to Norfolk, Virginia. He’d even played back-up with Bluesman Josh White. 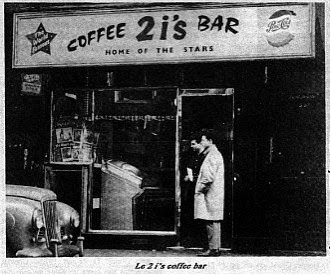 He did basement floor-sets at Soho’s ‘The 2i’s’ coffee bar and dabbled in skiffle with Wally Whyton’s group. 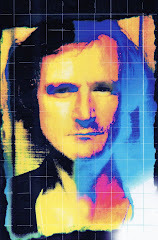 Talent-spotted by entrepeneur John Kennedy he was astutely signed by Larry Parnes. So it took him exactly a month from his first recording test to crash the Top Twenty. This album covers his brief quasi-Rock 78rpm hits and ‘B’-sides, starting with that first studio venture – “Rock With The Caveman”, pieced together by Steele himself with jobbing songwriter Lionel Bart, and recorded with a bunch of session musicians including jazzer Ronnie Scott. When he sings ‘out of sight, dynamite, hold your baby very tight’, you can almost believe that the cats are really jumping. His only no.1, the upbeat “Singing The Blues” with its whistle-while-you-work tunefulness swiftly followed, here it appears in two versions, one of them performed live alongside “Teenage Party” and a coffee-bar skiffle cover of “Rock Around The Clock”. All chirpy lively wholesome stuff, appealingly crude, a handful of hits recorded on two-track machines, which oddly made the Steeleman Britain’s first ever home-grown Teenage sensation. His arc of Teen-celebrity lasted through to both sides of “Tallahassee Lassie” c/w “Give Give Give” – a no.17 in August 1959, a steal from Freddy Cannon’s American chart-topper which effectively provided Tommy with his last shot at the Rock ‘n’ Roll beast. But he was never too convincing at it anyway. 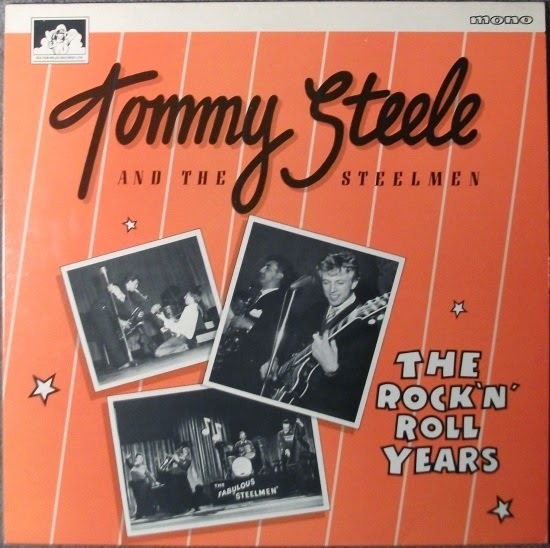 Tommy Steele had no dark side. And authentic Rock stars need a bite of surliness. He was more the acceptable go-between. Kids bought into him… until the real thing came along a couple of years later. And parents could never really dislike him, and quickly inherited him into mainstream showbiz. You can trace the cheeky cockney Tommy Steele template through Joe Brown to the terminal knees-up of Chas ‘n’ Dave. But there is an alternative legacy that could just as easily fork off through the Smallfaces into Damon Blur. Depends which question you ask. The answer is probably here. 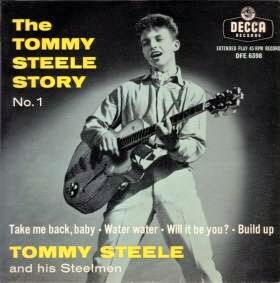 Tommy Steele's "Hey You" (flip side of "Plant A Kiss"), on 78rpm, was my Heartbreak Hotel moment as a child of nine. I got interested in the pile of Jimmy Shand records in the family cupboard, reserved for Hogmanay, and found that amongst them. The echo, and that superb guitar solo, were unlike anything that had hitherto reached my isolated house out in the countryside. sadly, next thing I knew he was all about Little White Bulls. I do retain a soft spot for British rock n roll. The records are obviously by and large inferior, but the decadent ATTITUDE of persons in the Parnes and Joe Meek stables was a lot more rebellious than southern gentlemen like Elvis, Eddie Cochran, etc.